The host of NPR's "Wait, Wait, Don't Tell Me..." was recently injured in a bicycle vs. motor vehicle collision. Peter Sagal details the incident in this blog post. According to his blog, it sounds like car didn't yield the right of way as he entered the intersection. The Illinois Rules of the Road require motorists to yield the right of way to all traffic, including bicycles. Especially when the bicyclist is an award winning radio host. 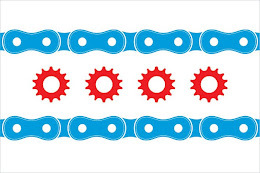 IllinoisBicycleLaw.com wishes Peter a speedy recovery.